Henry’s wife was Rosa Rebecca (nee GOWER). She was born 1889 and died 1983. They married at St Mary’s Church, Elham, on 16th October 1909. They had three children: Ivy May (b.1910), Henry (b.1913) & Violet (b.1915). (see family photograph here). 2. John SARGEANT, born Abt 1826 in Bridge (Kent), baptized 4 Feb 1827 at St Peter, Bridge (Kent), census 1841 at The Street, Bridge (Kent), census 1851 in The Village, Bridge (Kent), census 1861 at Bricknoggen, Bridge (Kent), census 1871 at Bricknoggen, Bridge (Kent), census 1881 at 12 Union Road, Bridge (Kent), census 1891 at London Road, Harbledown (Kent), occupation 1851 Agricultural Labourer, occupation 1861 Waggoner, occupation 1871 - 1881 Agricultural Labourer, occupation 1891 Infirm Farm Labourer, died 1896 in Bridge Union Workhouse, buried 5 Dec 1896 at St Peter, Bridge (Kent). He married Ann Elizabeth MEPSTED, 25 Dec 1860 at St Peter, Bridge (Kent). i Harriet SARGEANT, born 1861 in Bridge (Kent), baptized 17 Nov 1861 at St Peter, Bridge (Kent), census 1871 at Bricknoggen, Bridge (Kent). ii Emma Jane SARGEANT, born Abt 1863 in Bridge (Kent), baptized 4 Oct 1863 at St Peter, Bridge (Kent), census 1871 at Bricknoggen, Bridge (Kent). She married Arthur William ROSE, 24 Dec 1882 at St Peter, Bridge (Kent). iii John SARGEANT, born Abt 1864, baptized 12 Feb 1865 at St Peter, Bridge (Kent), died 1867 in Bridge (Kent) - Aged 3, buried 9 Jun 1867 at St Peter, Bridge (Kent). iv William SARGEANT, born Sep 1867 in Bridge (Kent), baptized 21 Jun 1867 at St Peter, Bridge (Kent), census 1871 at Bricknoggen, Bridge (Kent), census 1881 at 12 Union Road, Bridge (Kent), occupation 1881 Agricultural Labourer. v Annie SARGEANT, born Abt 1871 in Bridge (Kent), baptized 3 Nov 1872 at St Peter, Bridge (Kent), census 1881 at 12 Union Road, Bridge (Kent). vi John SARGEANT, born 1874 in Bridge (Kent), baptized 8 Feb 1874 at St Peter, Bridge (Kent), census 1881 at 12 Union Road, Bridge (Kent). 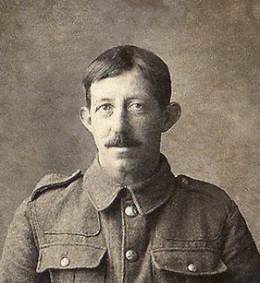 vii James SARGEANT, born 1876 in Bridge (Kent), baptized 9 Apr 1876 at St Peter, Bridge (Kent), census 1881 at 12 Union Road, Bridge (Kent), census 1891 at London Road, Harbledown (Kent), occupation 1891 Farm Labourer. viii George SARGEANT, born Mar 1878 in Bridge (Kent), baptized 7 Apr 1878 at St Peter, Bridge (Kent), census 1881 at 12 Union Road, Bridge (Kent), census 1891 at London Road, Harbledown (Kent). 1. ix Henry SARGEANT, born Jun 1880 at 12 Union Road, Bridge (Kent), census 1881 at 12 Union Road, Bridge (Kent), census 1891 at London Road, Harbledown (Kent). Enlisted at Canterbury, Resided at Bossingham at time of enlistment. L/Cpl 12826 - 32nd Btn: Machine Gun Corps (Infantry). Formerly 3517 Middlesex Regt. - Killed in Action 30th Aug 1918 during the offensive to retake the village and bridge at Brie (Successful 5th Sept 1918), Buried at Brie British Cemetery: Grave/Memorial Reference: II. H. 2.
x Jane SARGEANT, born 1882 in Bridge (Kent), baptized 27 Aug 1882 at St Peter, Bridge (Kent). 3. Ann Elizabeth MEPSTED, born Abt 1840 in St Pauls, Canterbury (Kent), census 1861 at Bricknoggen, Bridge (Kent), census 1871 at Bricknoggen, Bridge (Kent), census 1881 at 12 Union Road, Bridge (Kent), census 1891 at London Road, Harbledown (Kent), occupation 1891 Nurse. 4. William SARGEANT, born Abt 1800 in Bridge (Kent), baptized 27 Sep 1801 at St Peter, Bridge (Kent), census 1841 at The Street, Bridge (Kent), census 1851 in The Village, Bridge (Kent), census 1861 at Bricknoggen, Bridge (Kent), census 1871 at Bricknoggen, Bridge (Kent), census 1881 at 12 Union Road, Bridge (Kent), census 1891 in Bridge Union Workhouse, occupation 1826 - 1851 Agricultural Labourer, occupation 1861 Shepherd, occupation 1871 - 1881 Agricultural Labourer, died Aug 1891 in Bridge (Kent) - Aged 91, buried 18 Aug 1891 at St Peter, Bridge (Kent). He married Mary SEATH, 27 Aug 1826 at St Peter, Bridge (Kent). 2. i John SARGEANT, born Abt 1826 in Bridge (Kent), baptized 4 Feb 1827 at St Peter, Bridge (Kent), census 1841 at The Street, Bridge (Kent), census 1851 in The Village, Bridge (Kent), census 1861 at Bricknoggen, Bridge (Kent), census 1871 at Bricknoggen, Bridge (Kent), census 1881 at 12 Union Road, Bridge (Kent), census 1891 at London Road, Harbledown (Kent), occupation 1851 Agricultural Labourer, occupation 1861 Waggoner, occupation 1871 - 1881 Agricultural Labourer, occupation 1891 Infirm Farm Labourer, died 1896 in Bridge Union Workhouse, buried 5 Dec 1896 at St Peter, Bridge (Kent). He married Ann Elizabeth MEPSTED, 25 Dec 1860 at St Peter, Bridge (Kent). ii William SARGEANT, born Abt 1828 in Kent, baptized 27 Apr 1828 at St Peter, Bridge (Kent), census 1841 at The Street, Bridge (Kent). iii Mary Ann SARGEANT, born Abt 1829 in Bridge (Kent), baptized 12 Sep 1830 at St Peter, Bridge (Kent), census 1841 at The Street, Bridge (Kent), census 1851 in The Village, Bridge (Kent). iv Michael SARGEANT, born Abt 1831 in Bridge (Kent), baptized 6 Nov 1831 at St Peter, Bridge (Kent), census 1841 at The Street, Bridge (Kent), census 1851 at Sappington Court Farm, Petham (Kent), census 1861 at The Street, Petham (Kent), census 1871 at The Street, Petham (Kent), census 1881 at New Barn, Duck Pit, Petham (Kent), occupation 1851 Waggoner's Mate, occupation 1861 - 1871 Carrier, occupation 1881 Farmer - 43 Acres. He married Ann Elizabeth GOLDFINCH, 4 Sep 1858 at All Saints, Petham (Kent). v Samuel SARGEANT, born Abt 1833 in Kent, baptized 6 Jul 1833 at St Peter, Bridge (Kent), census 1841 at The Street, Bridge (Kent). vi Thomas SARGEANT, born Abt 1834, baptized 7 Sep 1834 at St Peter, Bridge (Kent), died 1834 Aged 2 Months, buried 26 Oct 1834 at St Peter, Bridge (Kent). vii Sarah SARGEANT, born Abt 1835 in Bridge (Kent), baptized 18 Oct 1835 at St Peter, Bridge (Kent), census 1841 at The Street, Bridge (Kent), census 1851 in The Village, Bridge (Kent), occupation 1851 House Servant to John MARTIN (Saddler). viii Thomas SARGEANT, born Abt 1837 in Bridge (Kent), baptized 13 May 1838 at St Peter, Bridge (Kent), census 1841 at The Street, Bridge (Kent). ix Henry SARGEANT, born Apr 1841 in Bridge (Kent), baptized 25 Apr 1841 at St Peter, Bridge (Kent), census 1841 at The Street, Bridge (Kent), census 1851 in The Village, Bridge (Kent). x Harriet SARGEANT, born Abt 1843 in Bridge (Kent), census 1851 in The Village, Bridge (Kent). She married Thomas James MURPHY, 1 Nov 1862 at St Peter, Bridge (Kent). 5. Mary SEATH, born Abt 1802 in Kent, census 1841 at The Street, Bridge (Kent), died 1844 in Bridge (Kent) - Aged 42, buried 29 Nov 1844 at St Peter, Bridge (Kent). 8. William SARGEANT, born Abt 1764 in Denton (Kent), census 1841 at The Street, Bridge (Kent), census 1851 at 43 St James Street, Dover (Kent), occupation 1813 - 1841 Sawyer, died 1853 in Dover (Kent) - Aged 89, buried 3 Apr 1853 at St James the Apostle, Dover (Kent). He married Elizabeth SHOVELER, marriage banns read 30 Sep 1797 - 28 Oct 1797 at St Peter, Bridge (Kent). i Elizabeth SARGEANT, born Abt 1799, baptized 18 Aug 1799 at St Peter, Bridge (Kent), died 1809, buried 14 Jan 1809 at St Peter, Bridge (Kent). 4. ii William SARGEANT, born Abt 1800 in Bridge (Kent), baptized 27 Sep 1801 at St Peter, Bridge (Kent), census 1841 at The Street, Bridge (Kent), census 1851 in The Village, Bridge (Kent), census 1861 at Bricknoggen, Bridge (Kent), census 1871 at Bricknoggen, Bridge (Kent), census 1881 at 12 Union Road, Bridge (Kent), census 1891 in Bridge Union Workhouse, occupation 1826 - 1851 Agricultural Labourer, occupation 1861 Shepherd, occupation 1871 - 1881 Agricultural Labourer, died Aug 1891 in Bridge (Kent) - Aged 91, buried 18 Aug 1891 at St Peter, Bridge (Kent). He married Mary SEATH, 27 Aug 1826 at St Peter, Bridge (Kent). iii John SARGEANT, born Abt 1803, baptized 20 Oct 1803 at St Peter, Bridge (Kent), died 1804, buried 14 Apr 1804 at St Peter, Bridge (Kent). iv Sarah SARGEANT, born Abt 1805, baptized 13 Oct 1805 at St Peter, Bridge (Kent). v Thomas SARGEANT, born May 1807 in Bridge (Kent), baptized 24 May 1807 at St Peter, Bridge (Kent), occupation 1846 - 1849 Sawyer, census 1871 in The Village, Patrixbourne (Kent), census 1881 in The Village, Patrixbourne (Kent), occupation 1871 Groom, occupation 1881 Sawyer, died 1881 in Patrixbourne (Kent) - Aged 74, buried 6 Jul 1881 at St Mary, Patrixbourne (Kent). He married (1) Mary Ann, born Abt 1805, died 1859 in Bridge (Kent) - Aged 54, buried 9 Oct 1859 at St Peter, Bridge (Kent). He married (2) Caroline MUMMERY, 22 Jul 1866 at St Mildred, Canterbury (Kent), born Abt 1826 in Kingston (Kent), census 1871 in The Village, Patrixbourne (Kent), census 1881 in The Village, Patrixbourne (Kent), died Sep 1899 in Bridge RD (Kent). vi Augustine SARGEANT, also known as Augustus SARGEANT, born Abt 1809 in Bridge (Kent), baptized 16 Jul 1809 at St Peter, Bridge (Kent), census 1841 in Patrixbourne (Kent), census 1851 in Patrixbourne (Kent), census 1861 at Cottage, The Street, Patrixbourne (Kent), occupation 1835 - 1851 Sawyer, occupation 1861 Carpenter, died May 1889 in Bekesbourne (Kent) - Aged 79, buried 25 May 1889 at St Mary, Patrixbourne (Kent). He married (1) Elizabeth (Eliza) BEER, 18 Jul 1833 at St Peter, Bridge (Kent), born Abt 1809 in Kent, census 1841 in Patrixbourne (Kent), died 1847 in Patrixbourne (Kent) - Aged 38, buried 10 Jul 1847 at St Peter, Bridge (Kent). He married (2) Sarah Jarvis STONEHOUSE, 7 Sep 1850 at St Mary, Patrixbourne (Kent), born Abt 1820 in Dover (Kent), census 1851 in Patrixbourne (Kent), census 1861 at Cottage, The Street, Patrixbourne (Kent), died Aug 1873 in Bekesbourne (Kent) - Aged 52, buried 20 Aug 1873 at St Mary, Patrixbourne (Kent). vii Mary SARGEANT, born Abt 1811 in Bridge (Kent), baptized 22 Jun 1811 at St Peter, Bridge (Kent), census 1841 at St James Street, Dover (Kent), census 1851 at 43 St James Street, Dover (Kent), occupation 1851 Victualler. She married John BRACE, 21 Oct 1840 at St John the Baptist, Barham (Kent). viii Elizabeth Sayer SARGEANT, born Abt 1813, baptized 25 Jul 1813 at St Peter, Bridge (Kent). She married Francis Weston SHERWOOD, 8 Sep 1845 at St Peter, Bridge (Kent). 9. Elizabeth SHOVELER, born Abt 1770 in Kent, census 1841 at The Street, Bridge (Kent), died 1845 in Bridge (Kent) - Aged 75, buried 5 Jan 1845 at St Peter, Bridge (Kent). 16. John SARGEANT. He married Margaret BOLDEN, 4 Oct 1749 at St George The Martyr, Canterbury (Kent). i Elizabeth SARGEANT, born Abt 1751, baptized 29 Jul 1751 at Ss Mary & Eanswythe, Folkestone (Kent). ii Sarah SARGEANT, born Abt 1753, baptized 28 Sep 1753 at Ss Mary & Eanswythe, Folkestone (Kent). iii Margaret SARGEANT, born Abt 1757, baptized 17 Jun 1757 at Ss Mary & Eanswythe, Folkestone (Kent). iv John SARGEANT, born Abt 1759 in Kent, baptized 15 Apr 1759 at Ss Mary & Eanswythe, Folkestone (Kent), census 1841 at The Street, Bridge (Kent), occupation 1841 Sawyer, died 1849 in Bridge - Aged 89, buried 4 Apr 1849 at St Mary, Patrixbourne (Kent). He married Mary PIERCE, 26 Mar 1799 at St Peter, Bridge (Kent). 8. v William SARGEANT, born Abt 1764 in Denton (Kent), census 1841 at The Street, Bridge (Kent), census 1851 at 43 St James Street, Dover (Kent), occupation 1813 - 1841 Sawyer, died 1853 in Dover (Kent) - Aged 89, buried 3 Apr 1853 at St James the Apostle, Dover (Kent). He married Elizabeth SHOVELER, marriage banns read 30 Sep 1797 - 28 Oct 1797 at St Peter, Bridge (Kent). vi Ann SARGEANT, born Abt 1768, baptized 17 Apr 1768 at St Mary Magdalene, Denton (Kent).